An illustrated, comprehensive guide to botanical painting written by the Society of Botanical Artists. In this new book the Society of Botanical Artists provides a comprehensive guide to the different styles and methods of botanical painting, harvesting the talent of both Members and Distance Learning Diploma Course students around the world, past and present. Botanical Painting includes more advanced techniques and materials and demonstrates how these skills can be used to develop your own expertise. There are chapters on drawing with graphite and metal point, coloured pencil, vellum, egg tempera, body and watercolour in plant portraiture and illustration as well as ‘The Mixed Bunch’. The inclusion of the historic methods used for egg tempera and metal point, as well as the technique required for working on vellum, makes this a valuable source of advice on subjects not readily available elsewhere. The gallery of paintings at the end of the book provides a guided walk around an SBA exhibition and is sure to excite and inspire. The book is beautifully illustrated throughout, with comprehensive critiques on the artworks and step-by-step demonstrations. 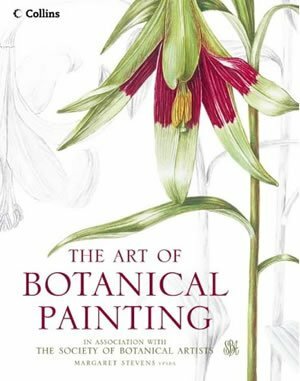 It will be an invaluable and inspirational addition to the library of the more experienced botanical painter. by Margaret Stevens PPSBA, published by Anova Books. Handbook of Plant Forms was first published in 1905 when Ernest Ellis Clark was 36, teaching at Derby College of Art. 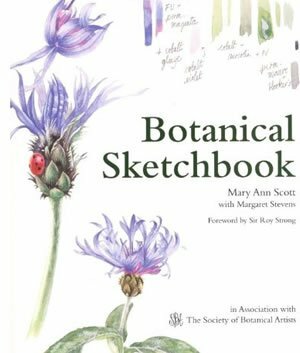 This new addition, updated by Margaret Stevens PPSBA, will be a useful reference facility for all students and lovers of botanical art. The many colour plates compliment the monochrome drawings from the original book and these have been provided by tutors and students on the SBA Distance Learning Diploma Course. The accompanying text acts as a commentary and critique on each painting and gives an insight into their composition and execution, whilst Mr Clark’s line drawings will aid botanical accuracy. Written by Course Director and immediate past President of the Society, Margaret Stevens, in association with the SBA, and published by Harper Collins in November 2004, to celebrate the glorious traditions of beauty and meticulous detail of this popular art form. The book is the definitive practical guide to the subject, intended for artists with some painting experience. 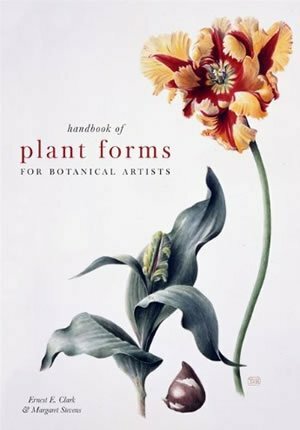 It contains essential information on subjects including materials, basic plant anatomy, flower and leaf shapes, the book then explores the techniques for drawing and coloured pencil work as well as painting with watercolour and gouache. Topics range from composition, working in the field and the use of photographs as an aid as well as presentation, exhibiting and selling work. There are 14 practical step-by-step demonstrations, giving a wealth of expert advice and insight into a range of painting styles. 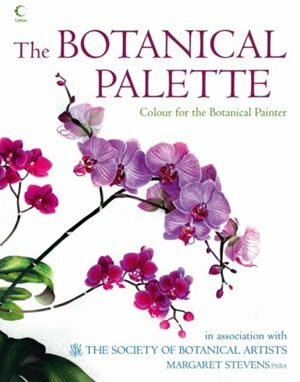 A follow-up book, The Botanical Palette, again written by Margaret Stevens for the Society and published by Harper Collins. 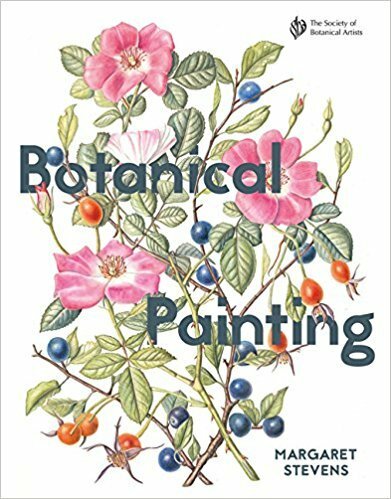 As the title suggests this book focuses on the use of colour and aims to remove the trepidation felt by many aspiring botanical artists when attempting to work with strong pigments. Margaret sent a questionnaire to 100 students taking part in the Distance Learning Diploma Course and much of what she covers is in response to their needs, added to her experience gleaned from twenty years of teaching botanical art to adult students. Step by step demonstrations, by SBA Members, showcase work in watercolour and coloured pencil and takes the reader through the palette from white to yellow, green, blue etc., to black. There are also a number of projects based on these demonstrations, to encourage the student to try it out for themselves rather than just read and admire. This makes for a unique and valuable learning aid. Contributing artists to this section include Paul Fennell, Ann Swan, Susan Christopher-Coulson, Brenda Watts, Barbara McGirr and many more. A chapter on pigments gives comparison data between various colours and manufacturers made easy to follow with colour charts. Finally the Gallery section adds to the many splendid paintings throughout, making this a book for anyone who appreciates beauty. by Mary Ann Scott SBA with Margaret Stevens, published by Anova Books. A practical masterclass showing one woman’s progression from modest flower painter to botanical artists of distinction, through the outstanding sketchbooks she procuded for the Distance Learning Diploma Course run by The Society of Botanical Artists. Illustrated with exquisite examples of the artist’s work, including delicate floral compositions, ripe and juicy fruit and vegetables and intricate botanical studies. Packed with invaluable advice, tips and colour swatches, this remarkable book will provide guidance and endless inspiration for the aspiring flower painter.